← Diverging Diamonds are a cyclist’s worst enemy. 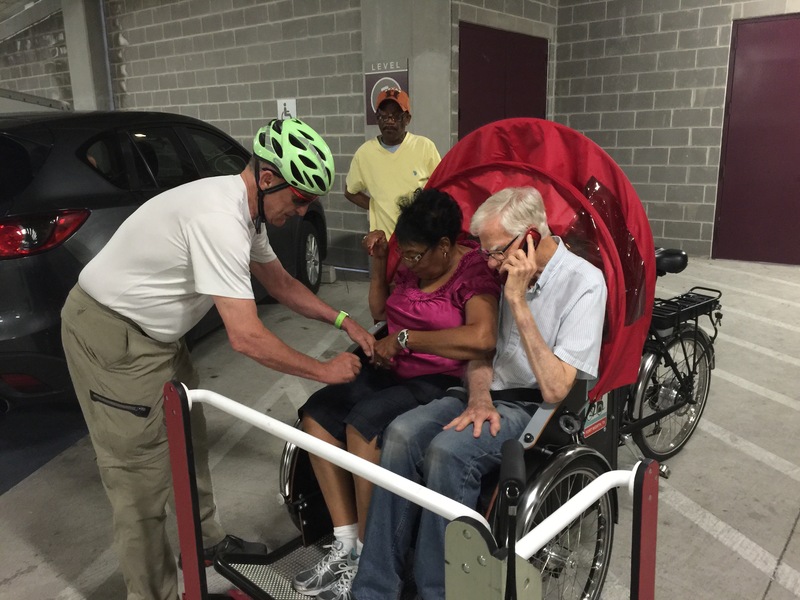 Wow, I’ve just found the Cyclingwithoutage.org web site and the program to give trike rides to elders…FREE!!! Ani and I just picked up two trikes and found a place to store them. First ride by Rob and Cynthia was a resounding success. We are working to make rides for recreation and errands a reality for older citizens who can’t drive and can’t walk to the grocery store or the park. We are creating a non-profit and could use help if you would like to provide contacts for companies or foundations that would like to support our effort. We will put in the sweat equity but we do have some major expenses for insurance and the capital cost of the trikes. Austin is the latest chapter in this growing movement and we are off and running.